If you’re found our blog you’ve likely been doing some research into custom swimming pool design. First, we’d like to point out that now is the perfect time to get started with a custom pool project. The most important thing you can do during the planning phase is to make sure you’re hiring the best company for the job. You’ll want to make sure the contractors you speak with are licensed, insured and reputable. Be sure to check their online presence. A company that has social media pages, a website, and is accredited by the Better Business Bureau is typically a safe bet. If the company is ranked favorably on Yelp, HomeAdvisor or Angie’s List, this is also a good sign. If the company you’re talking to is a virtual ghost on the Internet, you’ll want to steer clear. It doesn’t matter how many excuses they have for not having an online footprint. In today’s digital age, even the smallest, mom-and-pop shops have some sort of online presence. A company that can’t be found on the internet is likely uninsured, unlicensed, and/or they may simply be trying to scam you. Do your due diligence. Be sure you’re hiring a reputable swimming pool design company. Building a custom pool takes a lot more than a shovel and a wheelbarrow. Ask them about the types of tools an equipment they’ll be using, if they’ll be able to pull the necessary permits (and how long this will take) and whether they’re up-to-date in terms of the latest swimming pool design technologies. Ask them about the types of materials they’ll be using during construction, and which of the materials you’ll receive a warranty on. While we’re on the topic of warranties, be sure to ask if they offer a workmanship warranty, as well. A reputable company will always stand by the work they do. Lastly, ask about the worst-case scenarios. For example, find out if they’ve had problems pulling permits in the past and if yes, how long it’s taken to get that issue resolved. Ask about the types of delays you may encounter if the area is hit by several big rain storms. The more information you have about possible hiccups, the better. If you have questions about how the custom swimming pool design and installation process works, call Wetworks Pool and Spa today to learn more. Our company is licensed and insured and we’re more than happy to provide you with several local references upon request. Call today to learn why we’re the #1 ranked swimming pool design company in Northern Colorado. Spring may not be here yet, but the cold weather will be gone before you know it. As such, now is the perfect time to start planning your custom swimming pool. Although some people prefer to put this off until the weather gets warmer, this is something we’d advise against. The reason for this is simple—that’s when everyone else will start planning their pools, too. Ultimately, this means the construction will take a lot longer, and there’s a decent chance your pool might not be ready before the season is over. If you start planning now, you’ll likely be at the top of the construction list, so your pool will be finished sooner than later. When you work with Wetworks Pool and Spa you’ll be working with a team of licensed professionals that will be with you from start to finish. During our first meeting, a designer will take a look at the construction space and they’ll also ask you a lot of questions. They’ll also what to know what you plan to use your pool for, since this will play a role in the design process. For example, if you want to swim laps, a kidney-shaped pool won’t be your best bet. Once the size and shape of the pool have been decided upon, they’ll ask you if you’re interested in adding any special features (slide, waterfall, etc.) and if you have any landscaping that you’d like to incorporate. After the first meeting, you’ll receive some design mock-ups, along with anticipated costs for construction, in a few short days. Once the design has been approved our team will start pulling permits. From there, we’ll plan a day to start construction. Construction is a multi-phase project, so we’ll be sure to help you understand what will happen in each phase in addition to how long each phase will take. During this time, we’ll excavate and start to form the pool structure. We’ll reinforce it with steel, as needed ad we’ll plan for where we’ll install the drains and skimmers. The pool flooring will be added and at this point, you’ll be able to customize certain features like what type of tiles you’d like to have installed toward the top edge of the swimming pool wall. Once the cast is set, and the plumbing and electrical features are added (ie: the pumps, filter and heating mechanisms, should you want a heated pool), we’ll be just about done. If you’re interested in learning more about the benefits of adding a custom swimming pool to your home, we can help. Wetworks Pool and Spa has years of experience in helping local homeowners with all of their swimming pool design, construction and maintenance needs for years. For more information on our company, the types of services we offer or to schedule a time to speak with a designer, call our office today to speak with a customer care representative. If you’re thinking about working with a local swimming pool design company to install a custom, built from the ground up pool before the summer begins, there are several things you’ll want to keep in mind. Most notably, all swimming pool designers / installers are not alike. In the early phases of this project the goal will be is to hire the best possible company, that can do the work professionally and efficiently, at a fair and equitable price. You’ll want to get multiple bids while at the same time, keeping in mind that the cheapest bid isn’t always the best bid. It’s always best to do your homework before you sign your name to any contract. It can be easy to get carried away in the swimming pool design phase, so it’s best to go into things with a solid, realistic budget. This will allow you to pick and choose features based on what you have available to spend. If your kids are really pushing for a water slide, but your budget won’t allow for something extravagant, you’ll need to make this decision in the design phase. This will tie into your budget, because you’ll need to decide how much pool you want. The shape of your choice will also be important. As we’ve said in the past, a kidney-shaped swimming pool isn’t ideal for doing laps. Will you be using your pool to entertain? Will you mostly use it to keep the kids busy during the summer? Both of these things are important to consider when it comes time to pick the size and shape of your new pool. 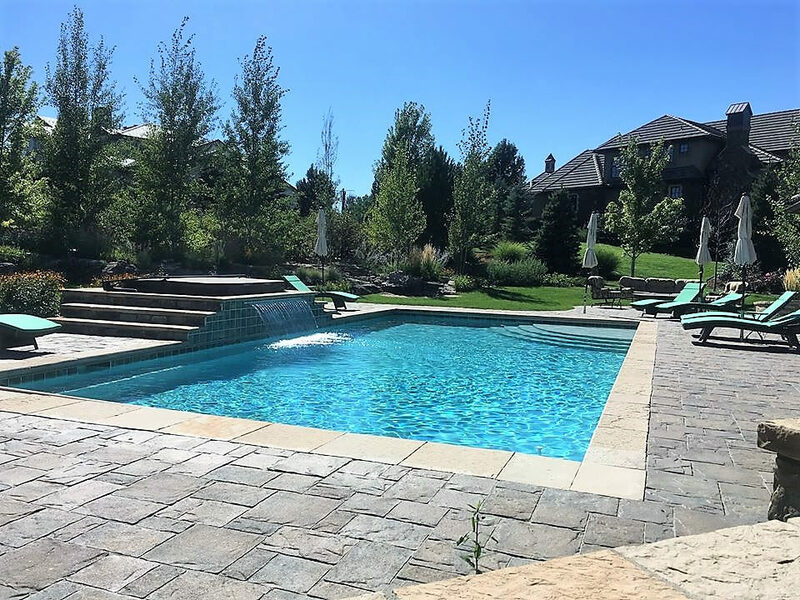 When it comes to installing a pool in Denver, CO, you’ll need to decide whether you want a salt water pool or if you’re leaning toward a chlorine-based pool. There are pros and cons associated with each, so the best thing to do (if you’re still on the fence) is to contact a reputable installer and ask them to go over the upsides and downsides of each choice. This will allow you to make the best and most informed decision as possible. If you’re in the early stages of planning a swimming pool install, call Wetworks Pool & Spa today to speak with a swimming pool design expert you can trust. Call today to learn why we’re the most trusted installer in this part of the state. How Long Will It Take to Build a Pool? If you’re thinking about adding a pool to your home in 2019 you may have questions about how long the process will take. For this blog, we wanted to address just that. The first step when it comes to installing a swimming pool involves working with a designer. When you contact Wetworks Pool and Spa we’ll schedule a time for one of our designers to come to your home. During that time we’ll ask several questions, including what you’d like to use your pool for (recreation, swimming laps, etc), the size you have in mind and whether you’d like install additional features such as a slide, spa or waterfall. If you can dream it we can help you achieve it! Once the design consult is complete it will take between 1 and 4 weeks to complete the design and collaboration stage. When we have our design, we’ll start on the permitting, which can run between 2 and 6 weeks depending on the municipality where you live. Some municipalities approve permits much faster than others. Once the permits are obtained the next steps can begin. Excavation can take about a week and from there, the electrical and plumbing will need o be laid out. The latter processes can take up to two weeks depending on the complexity of the design. This step can take between 1 and 3 weeks. During this time, the construction will start to look a lot more like a pool. You’ll want to remember that vinyl and fiberglass pool installation will be faster because these types of pools are factory made. When all of this is done, the final stages can begin. If you want to add special landscaping or features (ie: a water slide) now is the time to do it. If you’re wanting to install custom lighting, this will be the time where that would be installed. This part can take between 1 and 2 weeks depending on what you’re looking to have done. All in all, the average time to install a pool between 8 and 12 weeks. Yes, it can seem like a long time but with the proper planning, construction will be able to start as soon as the ground is no longer frozen. If you’re interested in adding a pool to your home in 2019, call Wetworks Pool and Spa today to schedule a free, no-hassle design appointment. This will allow you to get a head start on your pool planning and construction and it will also help you beat the spring rush! Remember, our company has more than two decades of experience in helping homeowners make their swimming pool dreams become a reality. We have an A+ rating with the Better Business Bureau and we’re more than happy to provide you with local references should you want to speak with some of our prior clients. 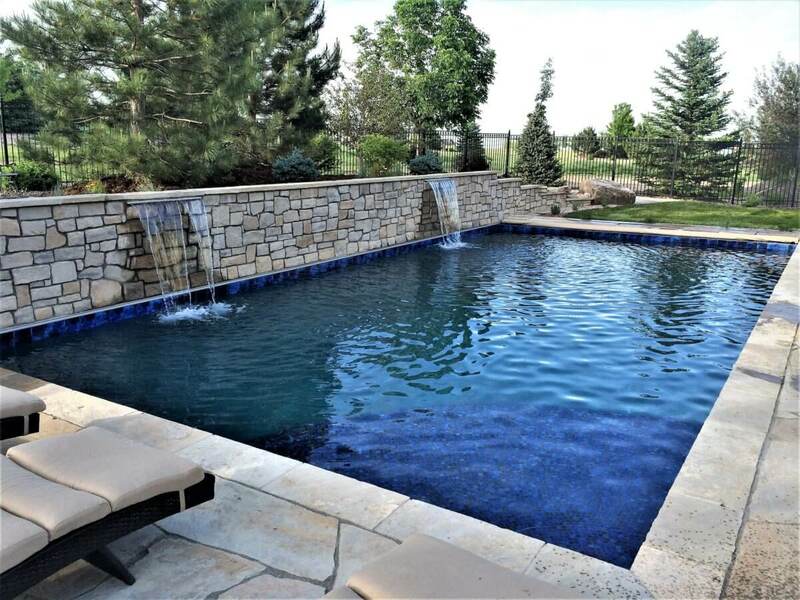 Call today to learn why we’re the #1 pool and spa design and installation company in this part of Colorado. If you’re like most people you have a basic understanding of algae. It’s green, it’s slimy and it’s definitely not something you want running a muck in your pool. However—you may not know that there are three types of algae that can turn your beautiful, outdoor relaxation spot into an unpleasant mess. Black algae isn’t so much black as it is a mixture of dark blue-green. If you’ve noticed that dark colored specks (that resemble dirt) have started to appear on the bottom of your pool, this could be a sign that this type of algae is about to take over. If the specks aren’t addressed they will start to grow larger- and once they reach a certain size, the algae will start to reproduce at a very rapid rate. Black algae will expand quickly over the bottom of your pool and if left unchecked, it will seep into the plaster and concrete base. If the problem becomes significant enough it can actually cause structural damage. Suffice to say, if you plan on being out of town for an extended period of time, you’ll want to have a pool technician monitor your pool in your absence to make sure this doesn’t happen. Yellow algae grows at a much slower rate than green and black algae, but it tends to be harder to kill off. Yes, you can use a brush to remove the surface layer, but you’ll still need to treat the water with chemicals to make sure what’s left is killed off. Most pool experts agree that super chlorination is the best way to address a yellow algae problem. Green algae is by far the most common type of algae that pool owners find themselves dealing with. It begins by forming a green slime layer on the surface area of the water. What can’t be skimmed can generally be cleaned with a brush, but that’s no to say you won’t need to treat the water to prevent it from getting worse. Again, if green algae grows unchecked it can take over a pool or spa with rapid speed. Algae is among the most widespread issues that pool and spa owners deal with and, not surprisingly, it’s a top reason why you may want to consider hiring a professional to help to ensure the problem doesn’t occur. 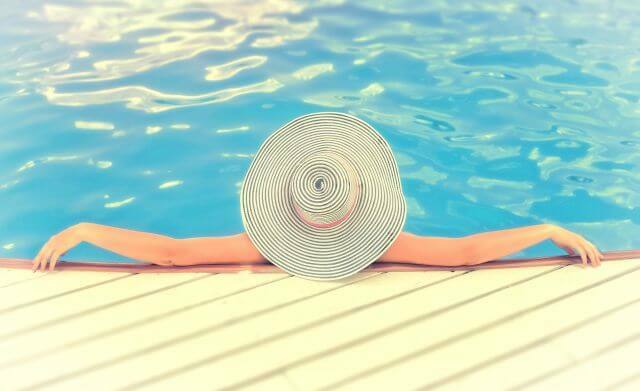 If you want more information about how Wetworks Pool and Spa can help you clean and monitor your pool next summer, give us a call and we’ll be happy to discuss how we can help you keep your pool and spa looking great. 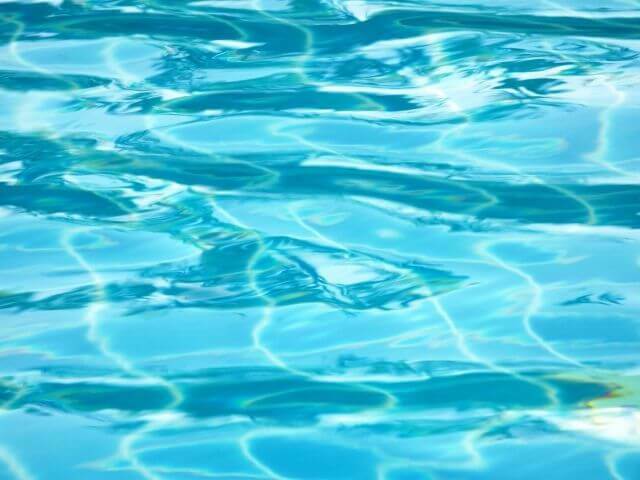 Our company has more than 20 years of experience in the swimming pool industry. We have an A+ rating with the BBB and we have a long list of clients that would be happy to provide you with information about the type and level of customer care we provide. Summer may be all but a distant memory but that’s not to say you shouldn’t still read up on the types of things that can impact your pool once it reopens. When it’s warm outside there are few things that are better than a game of frisbee and a dip in the water. A pool is a great place to get exercise, to play games and to spend time with your family. It’s also the perfect place to cool off with a cold, frosty beverage after a long day at work. You may understand the importance of keeping up on the maintenance for the filter along with the importance of keeping your pool chlorinated—but you may not be aware of the types of issues that rainwater can cause. When you add extra water to your pool, either intentionally or because water is falling from the sky you should keep in mind that it will mess with your pool’s chemistry. Not only can the water cause unsanitary conditions (ie: if you have runoff from the yard that winds up in the pool), it can also make it look dirty and unpleasant. When it rains, and the water chemicals fall out of whack, you could find yourself dealing with an algae bloom, which is as much of a pain to fix as it is unsightly. Algae spores are far more prevalent in the air than you may think, and they are always seeking out ponds of standing water. Suffice to say, your pool is a prime target. If the spores make their way into your pool and you aren’t diligent about maintaining the pool’s chlorine and pH levels, you may find yourself dealing with a green pool. There’s also the matter of other debris, such as leaves, sticks and dirt. When a rain storm hits there are any number of contaminants that could find their way into the pool. If you don’t clean the debris out, it could start to break down and decompose—and if you have both contaminants in your water, and algae, you’ll want to hire an expert to help you get things back on track. The algae will need to be killed at a faster rate than it’s able to reproduce! Suffice to say, keeping your pool’s chemical levels stable is paramount if you want to continue to enjoy it without interruptions. 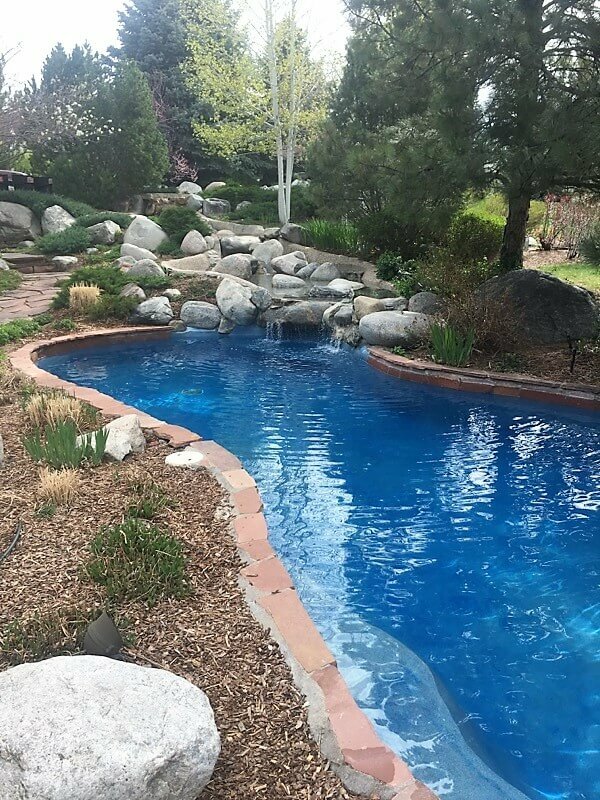 Wetworks Pool and Spa has been helping homeowners in the Denver metro area with all of their pool and spa needs for years. If you’d like us to help you reopen your pool next year, give us a call. Or, if you find yourself in a position where your outdoor oasis has been taken over by algae, we can help with that too! Our company also offers several regular pool maintenance packages that you may be interested in. For more information on our company and/or the types of things we can assist you with, call today at 720-401-0004. 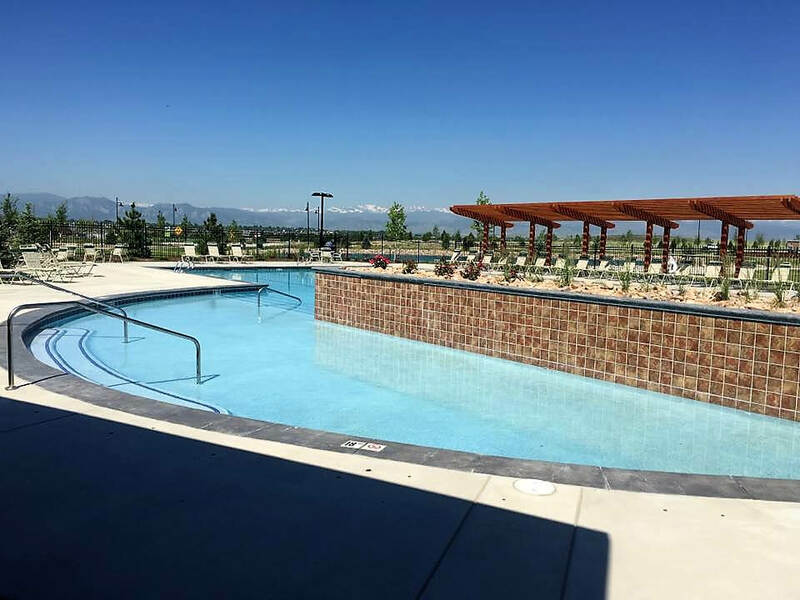 If you’re currently weighing the pros and cons of installing a pool at your Denver, CO home, you’ve come to the right place. Our company has more than 20 years of experience in helping local homeowners with all of their swimming pool design, installation and maintenance needs. For this blog, we wanted to address some of the things you’ll want to consider before you commit to having the work done. You’ll want to ask yourself what your needs are, and how much money you want to allocate toward the pool. If you’re looking for something simple without any frills, you’ll want to relay that to the contractor. On the other hand, if you want a waterfall and a water slide, you’ll want to have the swimming pool design team help you understand what your options are. If you start this process off with a budget number in mind, that will help you determine what features you can afford, and which ones you’ll want to pass on. If you’re leaning toward an above ground pool, you should be able to install that on your own. If you’re leaning toward an in-ground pool, this is most certainly not something you should attempt to do on your own. When you call Wetworks Pool and Spa we’ll be happy to schedule a time for one of our design consultants to come to your home. 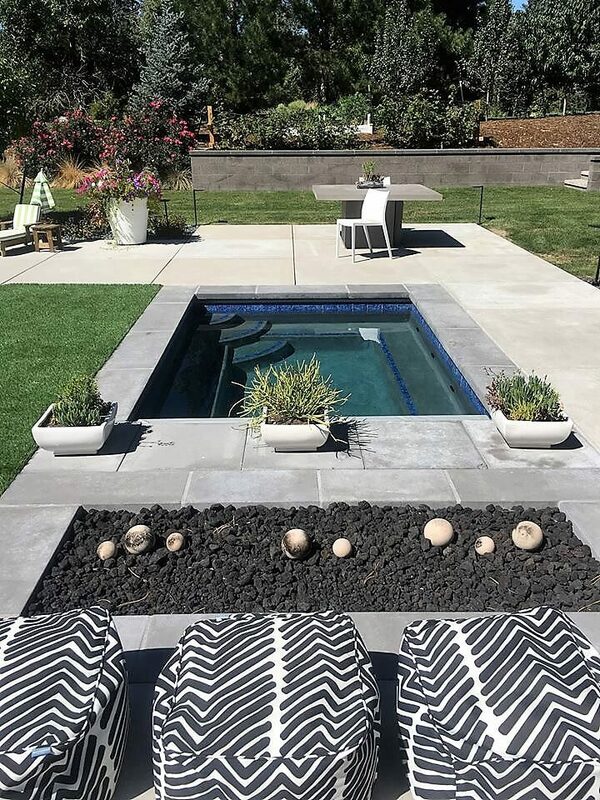 We can help you understand the differences between concrete and fiberglass pool options and we’ll take as much time as needed to answer any and all questions you might have. It’s our goal to help you choose the best pool for you and your family. Are you wanting a pool you can swim laps in? If so, a kidney-shaped pool probably isn’t for you. At Wetworks Pool and Spa we have experience in designing and installing pools of all shapes and sizes. If you can imagine it, we can help you build it. Lastly, you’ll want to choose which type of pool you want. There are a number of pros and cons associated with chlorine pools, and there are also a number of pros and cons that are associated with the installation of a saltwater pool. We’ll be more than happy to help explain everything, so you can make the best possible choice for you and your family. Yes, 2019 may still be several months away, but it’s never too soon to start planning for your new pool. Although some people choose to put this off until the spring, we find that clients who start the planning early can also have their pools installed before the warm weather hits. 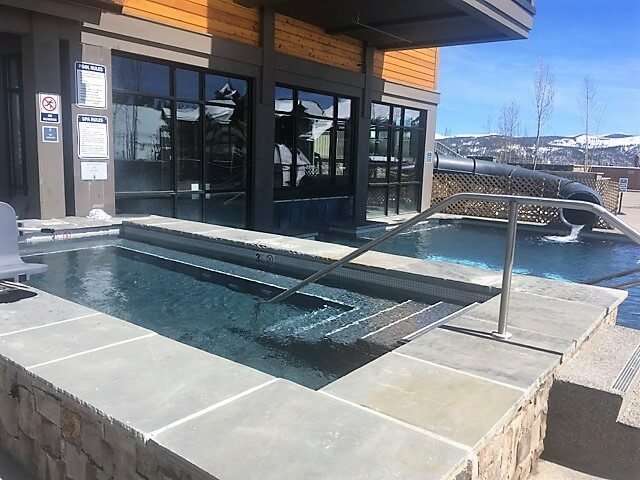 For more information on the swimming pool design and installation process, or if you have questions about how long a pool install will take, call Wetworks Pool and Spa today at 720-401-0004 to speak with a customer service specialist in Denver, CO. Yes, we understand that Labor Day just passed and it’s not even Halloween yet, but if you’re tossing around the idea of installing a pool in 2019, it’s never too early to start planning. One of the key benefits of starting early is that you’ll get all the design and planning out of the way before the spring thaw- which means construction will be able to start as soon as the weather permits. There are a number of benefits associated with installing a pool in Littleton. Below are just a few of the reasons you may benefit from the decision. When you have your own pool, you won’t need to worry about loading up the family and driving from point A to point B to enjoy a swim. You won’t need to worry about buying a bottle of over-priced sunscreen from the vending booth if you’ve forgotten yours at home. You also won’t need to drive around to find parking and you can say good bye to lines at the restroom. Having your own pool comes with many conveniences. When you own a pool, you’ll have the added benefit of being able to walk outside and jump into the water whenever you want. If you’ve had a long day at the office, or you’ve been hiking all afternoon and you’d like wind down by taking a quick swim, you can do that! If it’s especially hot at night and you’d like to take a quick dip before bed, your pool will be mere steps away. Between work schedules, kids’ sports and after school activities, field trips and all of your other responsibilities, it can be hard to schedule quality time with your spouse and kids. Yet when you have a pool, you may find that your children will want to spend more time at home. The memories that you’ll make on those days will last a lifetime. Swimming is a great workout. Not only can it tone your arms and legs, it’s low-impact, which means you won’t need to worry about aching ankles or knees. If you’re wanting to get more cardio in, but the idea of driving to the gym to do it isn’t all that attractive, a pool may be a great solution. A final benefit of installing a pool at your Littleton, CO home is that it will increase the resale value of your home. (Industry experts say that a well-kept pool can add 5 to 10 percent to a home’s sale price). It’s also worth mentioning that homes that have in-ground pools tend to sell faster than those that don’t. 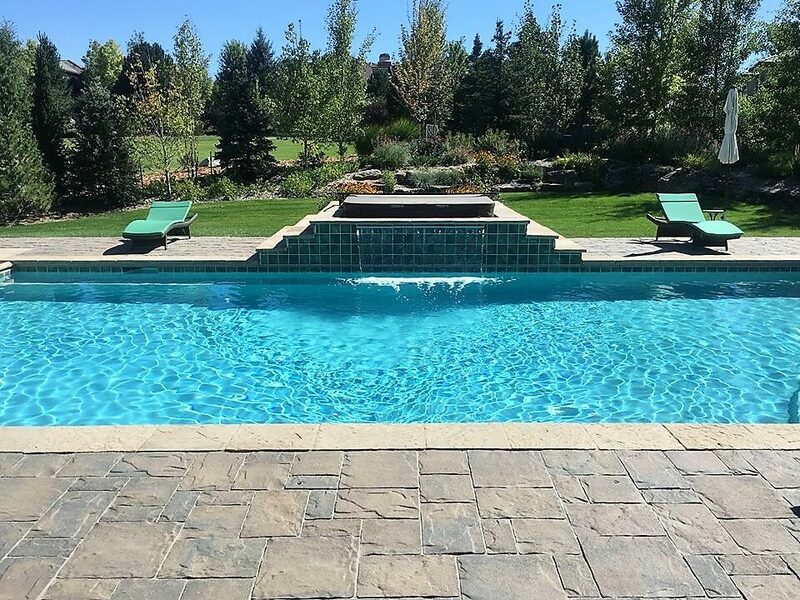 If you’d like more information about our custom swimming pool services or you have questions about the steps you’ll need to take to ensure your 2019 swimming pool can be installed before next summer, call Wetworks Pool and Spa today at 720-401-0004 to learn more.